In the past few years, I’ve had the opportunity to work with several employees who struggled for one reason or another. Some were junior engineers who knew that they didn’t know everything, but wanted to improve; some were experienced engineers who thought they knew everything, and saw little reason to listen to feedback. Most fell somewhere between those two extremes. While binary classifications are inherently flawed when comparing complex human behaviors, I have noticed that when giving employees feedback, they tend to fall into one of two camps: those who say they want to improve and those who show they do. As you might guess, you want employees who show you they can respond to feedback and make improvements, but if you’re having trouble identifying them, here are some things I’ve noticed. Again, people are complicated, but generalizations can be helpful for choosing the right management strategy. Will listen, say they understand, and maybe even parrot back your feedback. But, they probably won’t write it down, bring it up with you again later, or have any specific ideas for improving. Will respond in the short term, but they won’t keep it up. You will likely get a burst of motivation out of a “sayer”, and they’ll think that was enough. It may get them through to their next performance review, but true improvement is a long term effort. Nobody can show you they’ve made a lasting improvement in less than 3 months. Will work longer hours, but won’t actually respond to your feedback. For example, I once gave an engineer feedback about his estimates being wildly inaccurate and rather than spending more time planning and organizing his projects, he worked for days without sleep trying to prove he could get the project done. This is not sustainable, and it’s not what I asked of him. Will try to distract you from their poor performance with “above and beyond” heroics or goodwill building. “Sayers” will try to make you feel bad for giving them poor marks by bringing in cookies, staying late to work on an important bug, or helping an external team member get their work done. While these might be positive behaviors, don’t let them mask the fundamental problem you were trying to address. Will be surprised by feedback, and totally unaware of their deficiencies. People who say they want to improve are usually only saying it to get past the difficult conversation while behind the scenes, they’re disregarding your feedback as they don’t believe it to be valid. Will have excuses every time they don’t hit their targets. If you have given an employee feedback, you should be giving them specific goals to demonstrate improvement. “Sayers” will come back to you with a new (and probably somewhat valid) excuse for why they couldn’t hit their marks. For example, I once had an employee who was late to our daily standups every day. After talking about it, he agreed that it was hurting his productivity and “said” he wanted to be on time, but every week he had a novel excuse about why he couldn’t make it. Will ask questions, come up with examples, and start thinking of solutions when they receive feedback. The best one-on-ones I can remember left me and the employee excited to make process improvements together. Will write down, track, and systematize their own improvement. Of course, you should be helping them as their manager, but often people with a growth mindset do this sort of thing anyway. Will ask for specific feedback while making improvements. These won’t be surface-level questions, but deep, well thought-out ones. They’ll probably already have a couple possible answers, and just be looking for confirmation or final approval. Will take responsibility for their mistakes, and see them as an opportunity for growth. “Showers” embrace feedback and look at each session as an opportunity to learn. Will come to you first when there’s a problem. “Showers” don’t wait until their next review to be hit with feedback - they actively address issues one-on-one as they arise. They’ll know something is off based on their interactions with teammates or their manager, and they’ll start making an effort to improve before you can even address it. Will take responsibility when they miss their targets. Unlike “sayers”, “showers” know that excuses are bogus, and will often go out of their way to take responsibility even when they weren’t set up to succeed. When you read the list above, it should be pretty clear that “showers” are easier to manage, more reliable to work with, and typically better hires, but how can you select for these traits? What traits are you even looking for? Look for people who acknowledge and talk openly about their weaknesses. They don’t use them as an excuse, but rather know where other team members can help them out or enhance their abilities. StrengthsFinder 2.0 has a lot of fantastic research on this topic. Find candidates who have taught themselves a new skill. 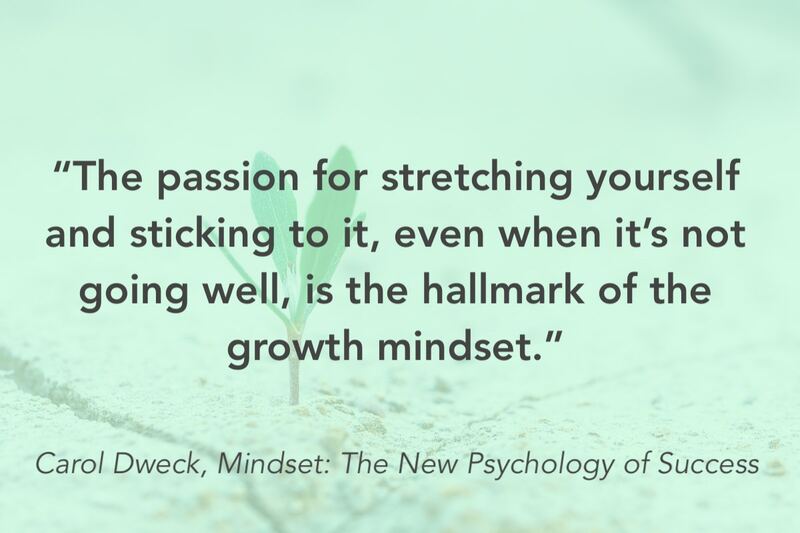 This shows a lot of stick-to-it-iveness, and you know that people learning skills on their own are likely to have the growth mindset you want. “Showers” stick around. They’ve probably worked for long periods under the same boss(es), and those bosses probably have great things to say about them. This may be tougher for early-career candidates, but once someone is at the 10-year mark, they should have a couple long tenures under their belt. Pay attention to the candidates’ questions. “Showers” will ask well-thought out questions during the interview process as well as during reviews, feedback sessions, and standups. You want good question-askers around. Point out specific examples when the employee falls short. I take notes every week on every employee I manage to track specific instances of positive and negative things they’re doing. This is really helpful for tracking behaviors in one-on-one reviews. Give the employee time to respond, but not too much. Even “sayers” will respond at first, so you have to give employees a few weeks to demonstrate whether or not they’ve truly changed based on your feedback. That said, if you wait a couple weeks and they haven’t shown any feedback, it might be time to get tougher. Ask the employee how you can help. While really strong “showers” will bring suggestions to you, be open and ask employees what you can do to support them. If the #1 goal of a manager is to keep their employees productive and happy, you have to struggle with them when they do. Look for support from peers, other employees. I have worked really hard to cultivate a pool of mentors and peers who I can go to when I struggle with managing people. Networking is tough, but worth every second. 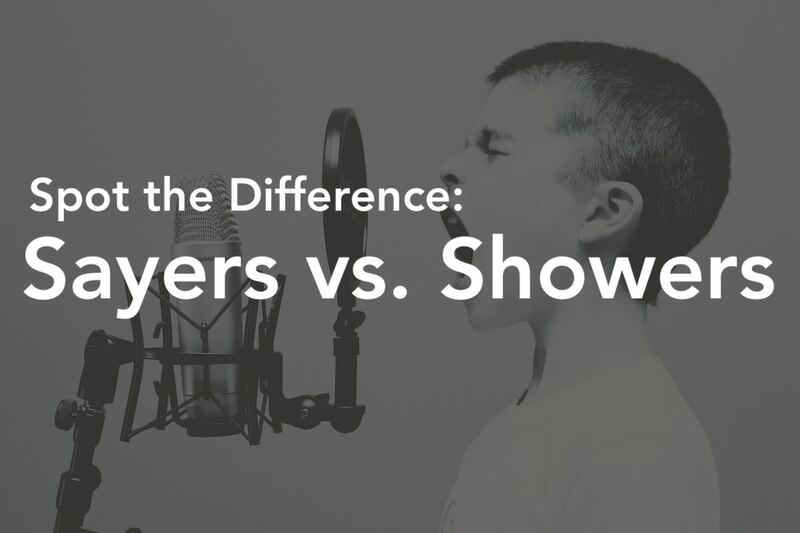 Whether you’re reading this as an employee who wants to show their boss they can respond to feedback or as a manager who is giving this feedback regularly, I hope it helps to think in terms of “showers” and “sayers”. If you want to continue to the conversation, find me on Twitter.